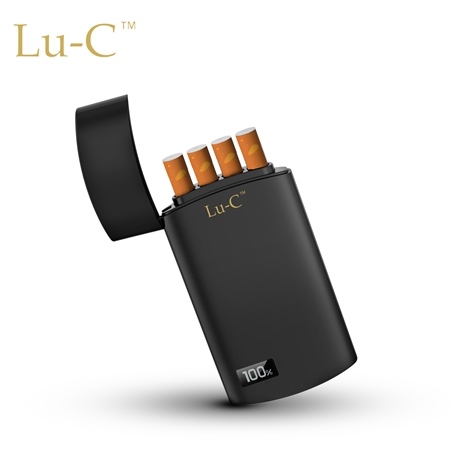 Lu-C is an awesome smoking experience with the latest technology that comes in a retro look! Enjoy a top-tier cigarette taste, feel and aroma without burning or heating tobacco. 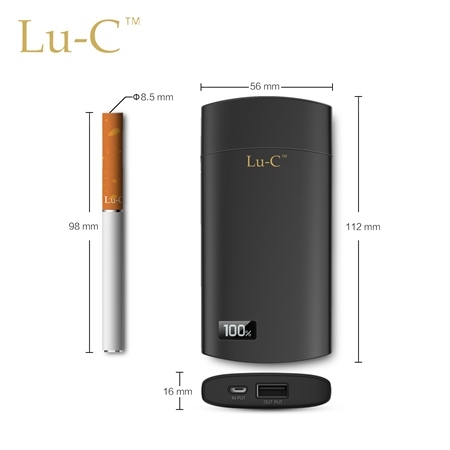 Every Lu-C device kit contains a charging pack and a cigarette-sized Lu-C. 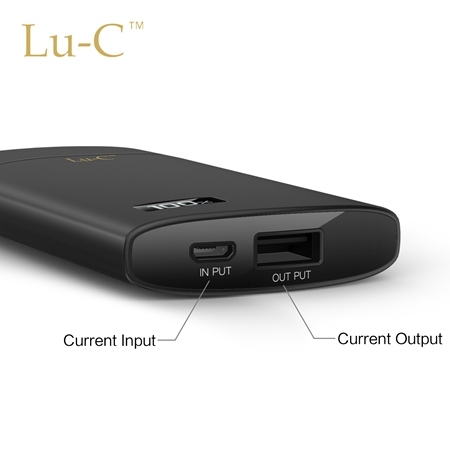 Your Lu-C is automatically charged when you return it to its charging case. The charging case contains a large capacity battery (1200mAh) to charge your Lu-C throughout the week. To recharge the charging case, simply connect the USB cable (provided) to any port. 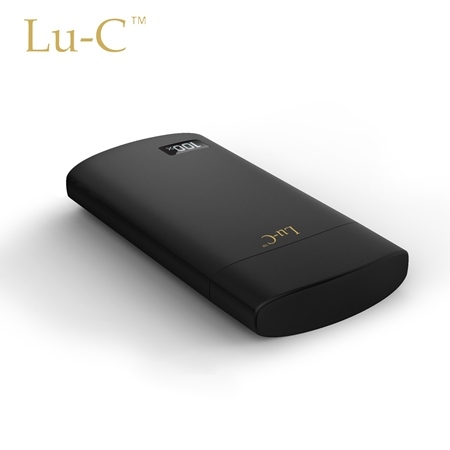 Lu-C is always ready to smoke due to its revolutionary portable charging case. The Lu-C case can hold three extra flavor cartomizers, along with a complete Lu-C e-cigarette in the charging compartment, so you are never without great tasting smoke. The Lu-C charging case can charge a battery about eight times and is microprocessor controlled, so there is never a charging problem that could cause dangerous battery issues. The ingenious charging case can also charge your cell phone through the USB port on the bottom. Lu-C is designed to be small enough to carry with you anywhere, and is slick enough to show off. We set out to uncover nature's secret to great tasting smoke. 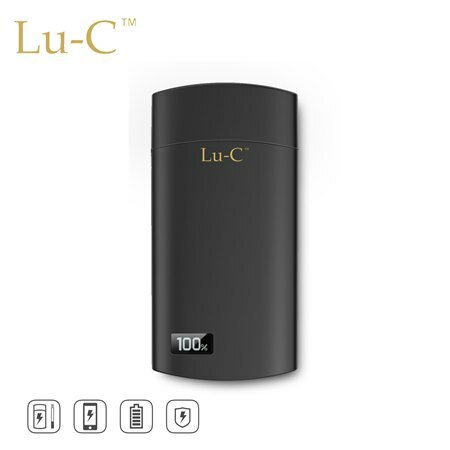 Lu-C is a revolution in e-cigarette smoking without burning or heating tobacco. Read about our flavor journey where we've accomplished the holy grail of taste, aroma, and feel of smoking. We have numerous GMP pharmaceutical reactors including this 250 gallon agitated nutsche filter for flavor extraction. Our flavors are blended in pharmaceutical-grade reactors. We formulate and blend over 30 concentrates that contain on average 60 ingredients. All Masterblend flavors are formulated, blended, filled and packaged in the USA. We have an extensive in-house analytical laboratory to analyze plant extracts, flavors, and blends to perfect MasterBlend. Click here to read more about our MasterBlends.